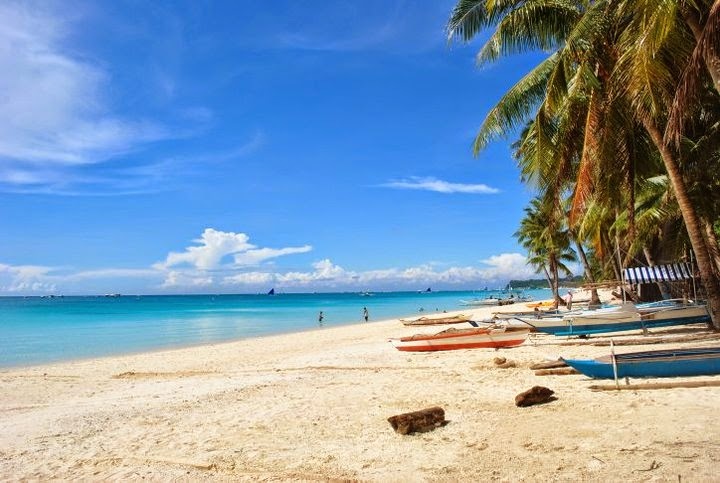 Backpacking Pilipinas: Beach, Books, Ben Afflecks, Boracay! 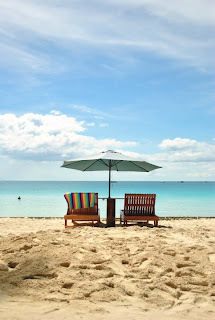 Devoid of many expectations, I packed my bags for Boracay without doing my usual pre-travel duties such as drafting an itinerary and researching the what-to-see-and-where-to-go-there stuff. I was ready for anything. I cared less whether it’s a great place or not. I will be there to relax, to escape the city, to chill. My pre-Boracay thoughts were that this place reeks with sun-kissed tourists, loud party-goers, over the top expensive hang outs, hardworking locals asking for massage services, a pocketful of sunshine, and yes, white sand beaches. Well, after my stay there, I thought I wasn’t really wrong. Boracay was exactly how I imagined it to be. But one thing that really stood out was the white beach. The coastline was really nice and I could still feel the soft powdery sand resting under my feet! I was with my high school friend, Mayleine, and both of us were first time travelers to the island. 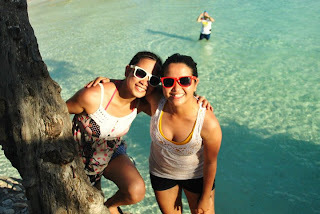 Before Boracay, May and I have had several trips together so I was really excited to be with her on this 3-day escape. We arrived via Kalibo Airport on a sunny Sunday morning. We decided to explore the town proper first before heading to Boracay. 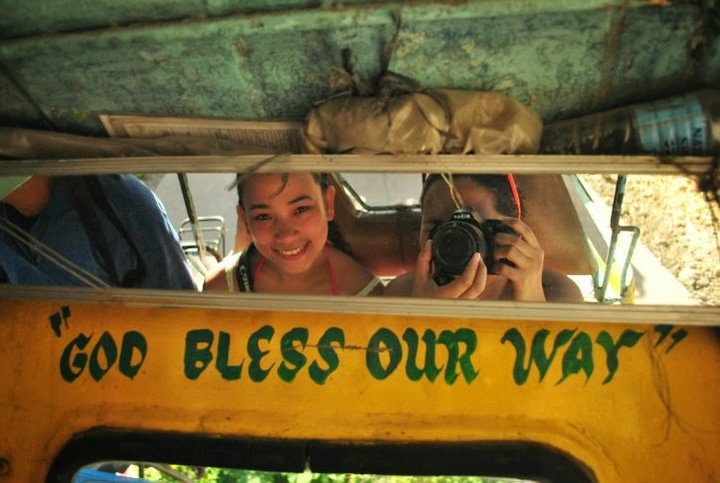 From the airport, we rented a trike and asked to be dropped off at the town church to snap some photos. Unfortunately, we didn't get to see the interiors of the church since it was closed when we arrived. After a hurried lunch at one of the sidewalk carenderias near the public market, we passed time sight-seeing around the town plaza. It was a little after noon when we decided to ride the bus (ordinary fare) and headed to Caticlan Port, a two-hour drive that May and I spent on a happy tell-tale and enjoying the green countryside of Aklan. At Caticlan Port, we paid the environmental and terminal fees before we were ferried to the island. I was surprised that the boat ride took only about 25 minutes, a short trip than I was expecting. We met a kind man ( I forgot his name) at the port who helped us book for an inn at Station 3. We settled in a simple air-conditioned room at Culpepper, a stone's throw away from the beach area. After making sure that all our things are settled, we immediately hit the beach. 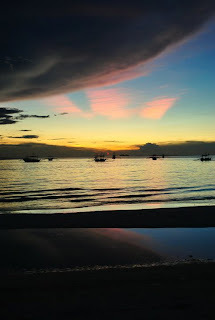 We came just in time for a warm and beautiful sunset, something that Boracay is famous for. Our first night was spent very much the way we wanted it, relaxing at the seashore with beers in our hand and plentiful of stories just about anything under the starry and serene sky. 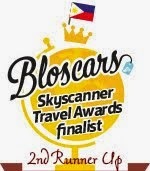 What I loved most about my experience is the fact that it was rather "uneventful," based on Boracay standards. The place offers myriad of activities like island hopping, parasailing, helmet-diving and other seemingly fun stuff. But we opted to spend our days discussing the works of Jack Kerouac and Haruki Murakami, people-watching, having fun seeing the many Ben Affleck look-alikes parading the shores, digging on some island food, combing the 7-kilometer Long Beach, picture-taking, swimming, and dreaming of things we hope for. And doing those things were definitely fun and cheap! I thought I can go back for those other “fun” stuff in the future. During our stay, we splurged on an easy food trip that varied from simple snacks, to cheap lunch, to beat breakfast and ultimately, to a grand 5-star resort dinner. We shared the huge buger at Nigi Nigi, dined at Villa de Oro, Luna Rossa and Big Mamas, and spent a big chunk of our nearly dwindling finances for a nice dinner beside the beach at Ambassador in Paradise. My first Boracay experience was great, many thanks to my happy travel mate. Where we stayed at: Culpepper (1100/night/twin sharing) station 3. **I noted my expenses while in Boracay but I lost it. Sorry. That was a fun trip.